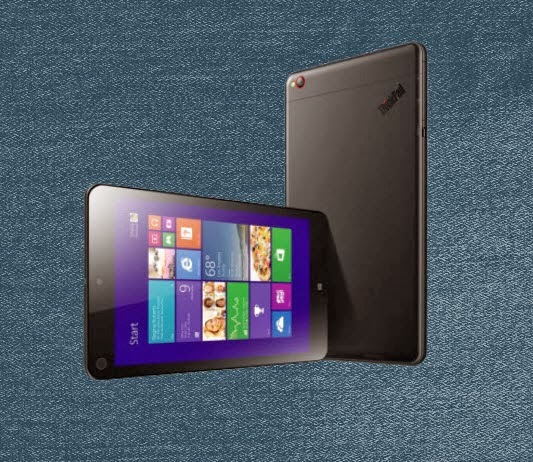 ThinkPad 8 is Lenovo’s first 8-inch business tablet. It boasts full HD (High-Definition) and touchscreen display, pre-loaded with both Windows 8.1 and Microsoft Office. As the thinnest and lightest ThinkPad tablet in Lenovo’s arsenal, ThinkPad 8 is equipped with Micro USB3.0 and microHDMI (High-Definition Multimedia Interface) slots to enable a seamless sync to at-home desktops, and boasts an enhanced 8-hour battery life to help professionals and students do more, no matter where they go.